Unreal Engine(currently released as Unreal Engine 4) is a popular and widely-used game engine developed by Epic Games. It is used in many modern AAA games like Epic’s own battle royale shooter Fortnite or other hit games like Psyonix’s ‘Rocket League’. It allows for development across multiple platforms from PC to consoles such as the PS4, Xbox One, and Nintendo Switch. This is part of the reason it is so widely used, due to its flexibility to work between these different platforms. 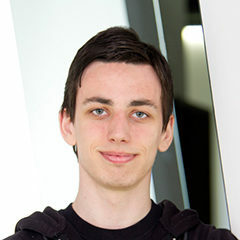 More experienced programmers can use the C++ language to make their own scripts that run in the game engine. More hobbyist developers can utilise its very powerful blueprints which are basically prefabricated blocks of code you can add to your objects to make interactions. I am admittedly hopeless when it comes to coding, but this system allows me to make simple interactivity in my VR scenes such as being able to pick up or throw objects. It also has powerful material and animation tools for artists which allow you to make complex scenes fast. Setting up some of these features can seem daunting at first, but several examples are provided where you can just change the parameters until you create what you’re looking for. On top of all these features there is a huge amount of documentation to help you learn the system. A big benefit to Unreal Engine is that it’s completely free to use. Whether you’re a hobbyist developer or a AAA studio, there is no upfront fee to use Unreal. They instead use a royalty agreement at 5% of all game earnings over $3000 per quarter to make their money. Unreal Engine has been around in some form since 1998. It was first used for the game ‘Unreal’ with Unreal Engine 2 releasing in 2002, Unreal Engine 3 releasing in 2006, and the current version UE 4 releasing in 2014. Due to its long tenure in the game industry it has a huge following and a lot of third-party tutorials and online forums. With all these resources you can learn the best way to use this engine and find solutions for any issues you may bump into along the way. Unreal Engine hasn’t lasted as long as it has without constantly adding new features to keep it at the front of the pack. Its mix of artistic and development-centric tools allows complete creative flexibility. It uses the widely adopted PBR workflow for its materials and rendering. This, combined with dynamic or baked in shadows and lighting, allows for some incredible photorealistic content that still runs in real-time. 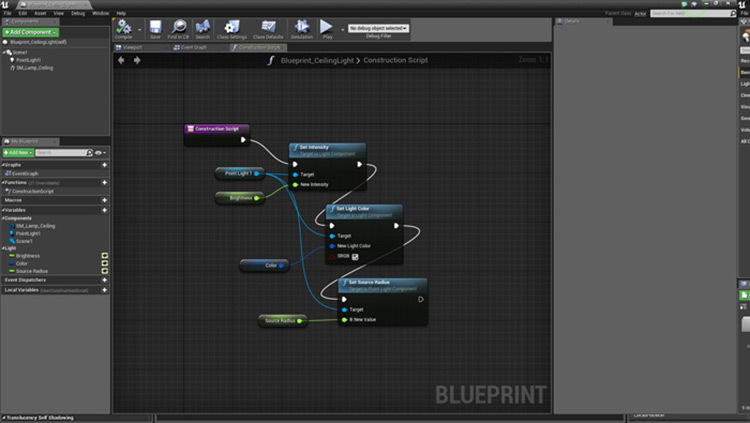 The Blueprints feature I mentioned before allows you to put together simple scripts that interact with one another. This all uses a visual interface so even if you’ve never coded in your life, a few short tutorials can get you well on your way to a working game. The blueprints attached to a hanging light in Unreal’s starter content. When ‘Unreal’ (the game) was released by Epic in 1998 there were issues with its multiplayer systems, which at the time was still pretty cutting edge. They spent around a year patching this and it eventually turned into a whole new game ‘Unreal Tournament’ in 1999. This multiplayer framework is one of the main selling points today. As recently as September 2017 they made modifications that allow up to 100 different players to connect and play together in a single game, meaning the possibilities are almost limitless. Unreal Engine has a good physics engine built in allowing for soft body physics, particle effects, and more simple things like gravity. The framework is easy to use for making any objects like a swing that reacts to being pushed. All super easy once you learn the UI. The texturing and materials tools in Unreal are second to none in my opinion. The amount of flexibility you have here is incredible. Once you bring in your texture maps made in another program like Substance Painter you can use the hundreds of different material blueprints to customise the end result endlessly to get what you are looking for. 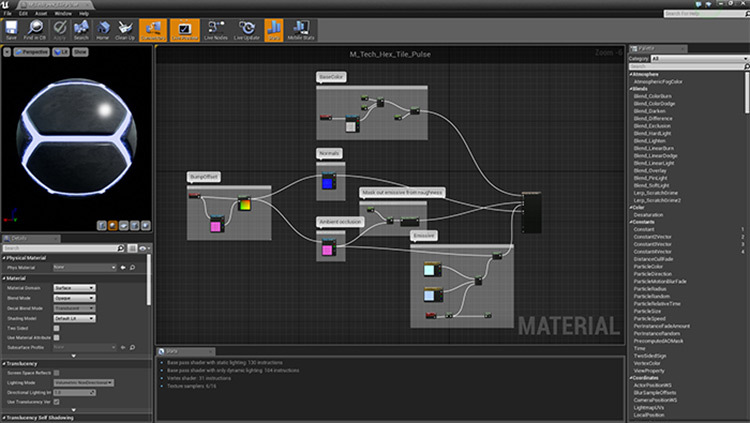 The somewhat daunting interface of a more complex material included in the starter content. This shows the power and flexibility you have with these tools. There are also tools built in that makes building for virtual or augmented reality a lot easier. The rise in popularity of VR in recent years is impossible to ignore, so it’s always useful to have access to an engine that can easily help you produce content for these platforms including the Oculus Rift and HTC Vive. 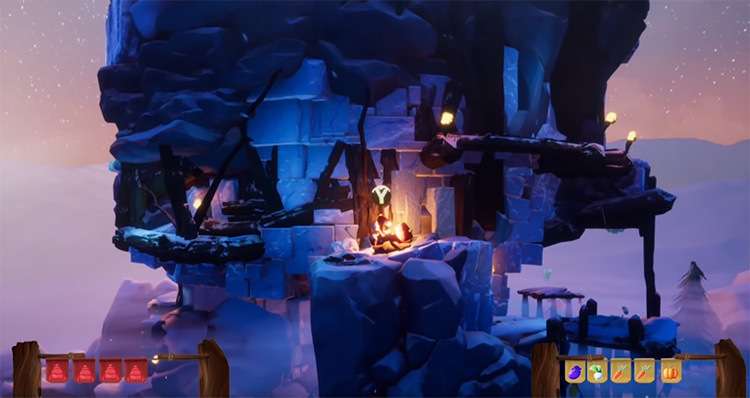 Unreal Engine also has tools that allow you to create your own terrain with ease. You can paint in your own materials with your mouse and blend them together to make, for example, grass slowly bleed into a concrete path. 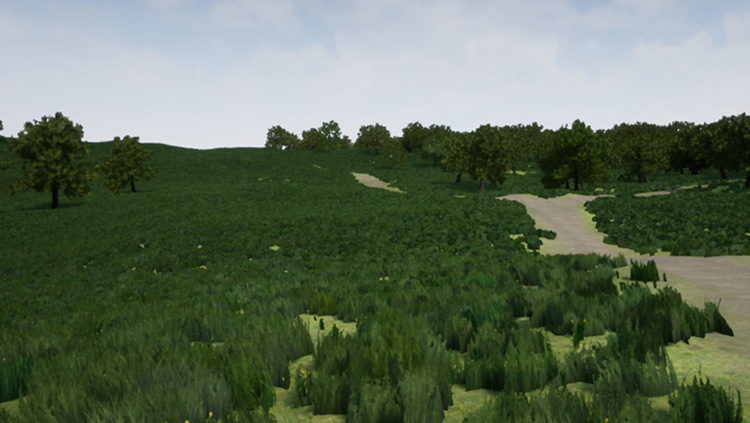 You can then use meshes of trees and grass and paint in full forests or patches of flowers. You can make full outdoor scenes in a matter of minutes, and they are already optimized to run in your game if you use the plant meshes that come with Unreal Engine. Here is a small outdoor park made in around 10 minutes using Unreal’s terrain tools. The content browser is an integral part of the UI and allows you to quickly explore your scene’s entire file structure to find different assets and drag them straight into the viewport. This allows for some streamlined workflows which makes working in the engine an absolute joy. One final feature to note is the marketplace. This is full of assets made by Epic and other developers/artists that use Unreal Engine. You can use this marketplace to download more art assets, or full development builds that you can then add onto. You can also use them to explore tools a developer used to get a better understanding of them. Some of this marketplace content is free, but most of it comes at a premium price tag. If you wish to sell your own builds on the marketplace note that Epic take a 12% cut of all sales. So this is a far from comprehensive list of features with UE4. If you wish to learn more and try this out it is completely free to download from the Unreal Engine website and there are loads of tutorials to get you started. UE is one of the leading game engines used in the gaming industry and you don’t have to take my word for it. Just look at this list of games made in Unreal Engine since its release in 1998. That also doesn’t mean it’s the only option. 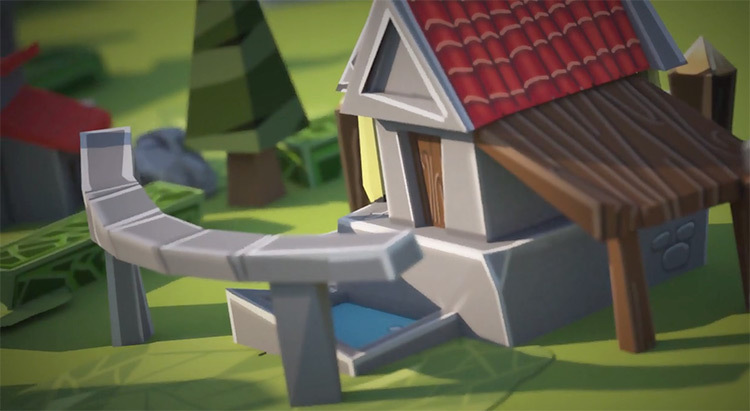 Unity is another excellent engine that is free to use with powerful features for both 3D and 2D games. If you’re building a game or thinking of getting started then it’s worth looking into both to see which you prefer.